Reduction rhinoplasty is one of the procedures known colloquially as a “nose job”. This will reduce the size of your nose. The nose may be reshaped, as well. The shape of the bridge and the tip, as well as the nostrils, can also be changed. In some cases, rhinoplasty is also done to correct breathing problems. What can reduction rhinoplasty do? This operation is generally performed reduce the size of the nose’s framework. The skin itself is not changed. The nose’s frame, made of bone and cartilage, is approached through small cuts inside your nostrils or underneath your nostrils. The bridge may be reduced, and then reshaped to a smaller size. Reduction rhinoplasty also narrows the width of your nose. The nostrils can be narrowed as needed, and the nose can be shortened. The changes may be performed to help correct breathing difficulties. Are there limits to what can be accomplished? As with any surgery, there are limitations to what can be removed, changed or added. Your surgeon will endeavor to produce the best possible outcome for your needs, goals and structure. The surgery’s objective is to make your nose look in proportion to your facial features. You should explain what you want clearly to your surgeon, and he or she will let you know what can be done, and what cannot. If your nose is quite large, or you are middle aged, there are limits to what can be reduced. This is due to your skin’s lack of elasticity to shrink onto a smaller frame. If your nose has been bent by injury, it may not be able to be made perfectly straight. Larger nostrils can only be reduced so much. What risks are involved with reduction rhinoplasty? Like all operations performed under a general anaesthetic, there will always be a risk of infection in the chest, especially if you smoke. This risk can be minimised by telling your surgeon if you have a sore throat, cold or cough before the surgery, so that it can be postponed or your anaesthetic altered. Surgery can be complicated if you have heavy nose bleeding after the procedure, or after 7 to 10 days. This may require in-hospital treatment. You may experience some breathing difficulties during the first week after surgery. This will usually disappear as the swelling subsides. If after the surgery you or your surgeon are not happy with the outcome a revision rhinoplasty can often be performed. However, it is not recommended to opt for surgery again until at least a year after the first surgery, as rhinoplasty generally takes 12 months to heal completely. What may be expected on operation day? This surgery is often done under general anesthetic where you will likely be required to stay in hospital overnight. The procedure itself usually causes mild to moderate pain, and you will probably not need anything stronger than mild pain relievers after the surgery. The dressings in your nostrils may cause discomfort, as may a splint, used over your nose. This is important, though, as it holds your bones in the proper position. When you go home, you may experience minor bleeding from the nose for a day or two. Rinse this blood away gently. Keeping your head elevated will help. Avoiding hot baths will help, as well. Do not sneeze or blow your nose. After your dressings are removed, you can clear the nose by simply blowing your nose and rinsing with a sinus wash. If you have questions about reduction rhinoplasty contact your local doctor, who will arrange for you to see a rhinoplasty specialist. If you have decided to have a rhinoplasty (informally known as a nose job), you would have already undergone a lot of decision making. You had to decide whether you were really unhappy enough with your appearance to go under the knife and that this was important enough for you to elect for surgery to fix it. You have had to find a good rhinoplasty surgeon whom you can trust to do the procedure, and you have had to adjust your expectations of what your new nose will look like and how you will feel. Rhinoplasty surgery aims to make patients happy with their appearance. Unfortunately, though, unless you have been in an accident or your surgery is for medical reasons, such as sleep apnea, there is often a stigma that comes with getting a nose job. While removing a scar or mole is seen as normal and is rarely frowned upon, removing a bump or bulbous tip on your nose can often be taken for vanity. You already know all of this, though, and you may now be trying to figure out how to tell your parents, friends, and/or other close loved ones about your decision. For some people, the solution to this conundrum is not to tell them at all. For others, a white lie suffices. Some people just cannot stand hiding things from the people they are closest to. Believe it or not, for most people, it is actually a combination of the three. You may say nothing at all to your coworkers and acquaintances who likely will not notice. Then you may tell some family members that you got the surgery to correct sleep apnea, and you’ll tell your closest friends and family members about your real reasoning because they’ll be the most likely to understand. Let’s go through how you can navigate each of these situations. You will need to schedule some time off work to get the rhinoplasty procedure done. You can schedule this as vacation time and /or arrange to work remotely until you can take the bandages off and reveal your new nose. Most of the people in your day-to-day life who are not as close to may notice that something is different, but will find it hard to pinpoint exactly what. You don’t owe any of these people an explanation, and they don’t need to know why you are suddenly more confident with your appearance. Let them chalk it up to a great vacation and a new diet plan. Almost everyone has family members or friends who will just refuse to understand. These same people have no problem with you putting on makeup every day to change your appearance, but a surgical procedure to make you feel better about yourself is too much for them. Don’t blame them for being stuck in their ways, but you can work around this. For these people, simply telling them that you are having corrective surgery to cure your sleep apnea or snoring. This may be considered acceptable and will avoid a lot of long, difficult conversations. If you feel the need to share your reasons for your rhinoplasty with your family, try to do it in a one-on-one setting. You may have to have the same conversation more than once, but it will be easier this way. Sit them down and tell them gently but honestly how you have felt about your nose your whole life, why you are getting the procedure, and what the results will look like. They may surprise you with their understanding, or they may tell you all the reasons they think you are beautiful the way you are. Listen to them and keep an open mind, but know that they still love you, no matter what you do. This change is for you, not them. If you have questions about nose problems or are interested in rhinoplasty make an appointment to see our rhinoplasty specialist. Rhinoplasty is frequently referred to as a “nose job”. It is a surgical method used to alter the nose shape or allow it to perform its functions properly. Cosmetic rhinoplasty improves the appearance of your nose by changing its size or shape, says Medicine Net. People who are unhappy with the shape or size of their noses may be good candidates for cosmetic rhinoplasty. It is also imperative that you are in good health and have only realistic expectations for the procedure. You will have time to discuss your expectations with the surgeon who will be performing your rhinoplasty. You’ll let him know what you would like to see changed, and he will tell you if that can reasonably be accomplished. If you’ve been self-conscious for years about the shape of your nose, you will find that rhinoplasty can correct issues with the appearance of your nose and help you feel good about yourself. This procedure is usually done on a day surgery or overnight stay basis. You will be under local and general anaesthesia. Incisions will be made in the nostrils or the base of the nose. Then, the inner cartilage and bone are reshaped, giving them a more aesthetically pleasing look. In some procedures, minor amounts of cartilage will be removed. The shape change will be accomplished by remolding the cartilage you have or by adding grafts. In this procedure, the nose maintains its structural integrity. Can Rhinoplasty Create a Natural-Looking Nose? Under the hands of the right facial plastic surgeon, you can have a nose that will appear natural, even after you have had rhinoplasty done. A qualified surgeon can correct cosmetic flaws and create a better-looking nose. To ensure that your nose will still look natural, a surgeon will need to take into account your facial anatomy, as well as your facial bone structure and the shape of your skull. He will also make note of the location of ears, lips and eyes and put the picture together so that your “new” nose will be as natural looking as possible. Is There an Ideal Shape for a Nose? According to Cosmetic Nose Surgery, there is not one single shape of nose that will compliment the beauty of each face. Surgical changes made during a rhinoplasty procedure enhance the features of the face and emphasize its natural beauty. 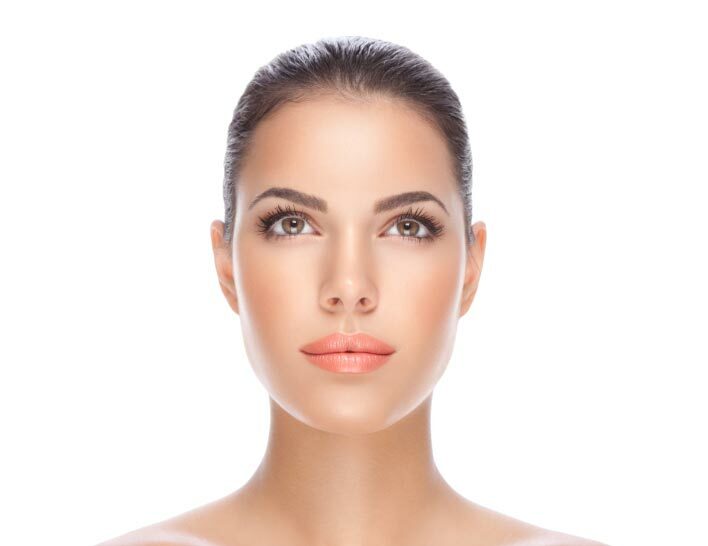 Surgeons can help you to see the facial features that allow you to be unique, and then describe any changes that will enhance your overall appearance. Nasal splints are usually used for about a 10 days after a procedure. There is generally bruising and swelling around the eye area, and this will improve after several weeks. It won’t be totally faded for about two weeks. After the two week period, you may still notice some swelling, although it won’t be obvious to others. This swelling may take a total of six months or more to completely go away. After your nose is healed, you will see its final shape. After your rhinoplasty, you shouldn’t engage in any strenuous activities for three weeks to a month. Social gatherings may still be attended after several weeks, and you can go back to work within a week, as long as it is not strenuous work. In about two or three weeks, others will not notice any indicators that you have had plastic surgery. Will Your Insurance Policy Cover Rhinoplasty? Your own coverage will be dependent on your policy and your insurance company. If the procedure is medically necessary, it will often be covered. If you have questions about rhinoplasty make an appointment see our ear nose and throat specialist. Rhinoplasty is an operation to change the shape of the nose. Many people, from teens to middle age and the elderly have nose reshaping done each year. As a rule, it will be done under a general anaesthesia as an outpatient procedure. You may be able to go home the same day. Rhinoplasty surgery employs reduction, augmentation or refinement of the patient’s nose to give a balanced and proportioned nose. What is a “Nose Job”? Surgeons call “nose jobs” by the accurate term of rhinoplasty. They can be simple or complex, depending on what is going to be achieved. Everybody’s nose and face is different, so it may not be possible to make your nose look exactly like your perfect nose. Your surgeon will aim to produce a nose that looks natural. What Are Common Goals of Rhinoplasty? Rhinoplasty may be done for medical reasons, or to make your aesthetic purposes, for example, you may have cartilage damage that needs to be repaired or believe that a re-shaped nose would be more proportional for your face. Most people do not experience serious problems with rhinoplasty and a qualified surgeon can help in lowering the risks of side effects. Select a surgeon who specializes in rhinoplasty, so that you can maximize the chance for a good outcome. The procedure should be done in a facility that is accredited. If there are complications, your experienced surgeon and his well-trained team can assess the problem and correct it. Your physician will do a complete physical exam before your rhinoplasty looking at your overall health, not just your nasal structure. A pre-operative consultation with your surgeon is imperative, so that they know exactly what you want, and you will know whether your goals are realistic. Your surgeon will evaluate your nose and your face, including balance of features, symmetry, surgical scars and skin type. For your benefit and that of your surgeon, you will probably have photographs taken before and after your surgery. This will show the improvements that are desired, as well as the goals of the surgery. What is Basic Open Rhinoplasty? Rhinoplasty modifies the appearance and function of your nose. The work done includes manipulating the bone, lining, cartilage or skin. Most surgeries do not include manipulation of all these parts of the nose. In an open rhinoplasty, your surgeon will make a tiny incision between the nostrils in the columella. Incisions are also made inside your nose. In comparison, a closed rhinoplasty will only involve interior incisions. After you have a nose job, your recovery will take patience on your part and support from friends and family. Keep your head elevated for 24 hours, or more, immediately following the surgery and the swelling can be managed using cold compresses and medications. Some patients are discouraged when they see the facial swelling immediately after their surgery. This is where you will need to exercise patience. When the redness and swelling go down, you will be much more pleased with the results. It is important that you discuss your expectations with your surgeon. Realistic expectations of rhinoplasty are essential. If you have questions about rhinoplasty surgery make an appointment to see our rhinoplasty specialist. The reasons for nose surgery vary. There are many different types of surgical procedures that can be done on the nose. There are also several different reasons a person might have one of these procedures performed. The four main purposes for nose surgery are as follows: to fix an injury to the nose, to make the nose look more desirable, to correct deformations of the nose, or to remedy breathing problems associated with the nose. A person can sustain an injury to the nose when playing sports or even just performing everyday tasks. Injuries to the nose can include small fractures, sprains, severe breaks and much more. While several of these conditions would not require surgery to fix, others can only be remedied by way of a surgical procedure. These kinds of surgeries are usually only performed when absolutely necessary. Unlike the previous procedures that are only done when needed, plastic nose surgery is usually performed upon request from the patient. Plastic surgery is not usually necessary, but rather a choice. People who decide to have this kind of procedure are often unsatisfied with some part of their nose, whether it is the size, shape, positioning, or something else. This type of surgery will fix whatever defect the patient might see in his or her nose and create a new and pleasing profile for that individual. Another reason people might seek out nose surgery would be to correct a deformation or hereditary problem with their nose. The main natural defect seen in the human nose is a deviated septum. This means that the septum, which divides the nasal cavity in two, is not aligned correctly. This can cause difficulty breathing, snoring problems, and sometimes even pain in the nose. The surgery for such a deformation simply places the septum back in alignment and is usually a pretty simple procedure. The final main reason for a nasal surgery is to fix any kind of breathing problem caused by something in or around the nose. Many people have breathing issues associated with their nose. Although surgery is typically not required for these kinds of problems because they are not life threatening, many people elect to have them fixed because they do not like dealing with them on a daily basis. Whatever the case, there are plenty of different reasons that an individual might have nose surgery these are few main reasons for nose surgery. If you would like to find out more about the reasons for nose surgery, see your local doctor who will arrange for you to see a nose surgeon. When you are considering getting cosmetic surgery to fix a problem with your nose, you should be sure to consider the price of the procedure. Whether your nose it too big or crooked, rhinoplasty is a safe and long-term solution to fix the issue. Additionally, one of the biggest benefits that rhinoplasty patients cite is that it lasts for life and doesn’t require any upkeep after the initial check-up appointments. Consequently, it is highly advised to undergo the procedure under a skilled and competent surgeon, so that you will have quality work done that you can be proud of for the rest of your life. After all, the nose is one of the first things a person sees when they meet someone else, so it is important to ensure that your new nose will be an enduring work of beauty. Cosmetic surgeons invest great amounts of time and money to learn and master their profession. In turn, the prices they charge are meant to compensate them for a lifetime of knowledge in this highly technical field. Keep in mind that a surgeon will use all their medical knowledge when performing the surgery. During this time they will create a small incision under your nose in order to expose the nasal bones and the accompanying cartilage. Once they have access to this, they will begin to blend medicine and art by intricately sculpting your nose in order to produce a stunningly beautiful effect. Then once this is complete, they will stitch you up and expertly bandage the surgical site so there will not be any noticeable scarring. The surgeon is not the only piece of the puzzle involved in getting you the nose you desire. There are a host of other people involved, and one of the most important of these is the anaesthetist. This doctor is in charge of sedating you and making sure your pain is managed so you are comfortable. In doing so, the anaesthetist will continually monitor you during and after surgery, until you are fully conscious and awake. Additionally, they will make recommendations to your attending surgeon regarding further pain management medication. Lastly, the medical technicians that will attend to you also play a crucial role in the success of the surgery. All of these people derive their income from assisting patients like you, so the procedure is not cheap. However, a life with a beautiful nose is absolutely priceless. If you have questions or concerns about rhinoplasty, contact your local doctor who will arrange for you to see a nose surgeon. Rhinoplasty surgery is a common procedure that is used for both cosmetic reasons and for medical purposes. Individuals who would like to change the look of their nose or who have medical issues such as difficulty breathing often opt for rhinoplasty surgery. It is important to understand the nose surgery recovery process if you are scheduled for a procedure. This will help you to plan your post-surgery schedule accordingly. Once the surgery is complete, your surgeon will place a splint made of plastic or plaster to the external area of your nose. This ensures that the newly shaped nose area is maintained after surgery. In addition, a nasal pack or a soft plastic splint will be inserted within the nostrils in order to stabilize the septum. According to Dr. Melvin Dassinger of the University of Tennessee, splints should be worn for 1-2 weeks after surgery while the nasal pack (or soft plastic splint) can be removed within 3-5 days. During recovery from nose surgery, it is common for some swelling and bruising around the eyes to occur for a few days post surgery. Rhinoplasty surgeons recommend that patients apply a cold compress while keeping their head raised in order to reduce swelling and bruising. In most cases, recovery after nose surgery is quick. Most patients are able to return to work or other low-impact daily activities within just a few days after the procedure. However, complete recovery can take a few weeks. Dassinger recommends that patients avoid high-impact, strenuous exercises for 2-3 weeks after surgery, exposure to sun for the first 2 months, and to take care whenever washing the face during the weeks following the procedure. It is important to follow the instructions of your doctor after rhinoplasty surgery so that you can be sure to avoid complications and can be certain that the recovery process goes as smoothly as possible.